A general warranty deed will guarantee clear title when you purchase a home, but it may not be enough to protect you from every possible scenario. A general warranty deed is a guarantee that the seller holds clear title to a specific piece of real estate, and that they have the right to sell the property to you. 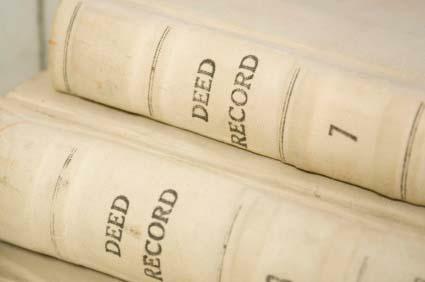 This type of deed is used in most real estate deed transfers since it provides the greatest protection of any deed. Lenders prefer this type of deed because it is most likely to show the true owner of the property on which the lender is providing funding. Is often known as a Grant Deed. Declares that the seller is the owner of the property and has the right to sell the property. Guarantees title from the origin of the property, not just to the time frame during which the seller owned the property. States that there are no hidden liens or debts against the property. Title searches are only as good as the records reviewed and the accuracy of the person completing the title search. Errors can be made.For protection against errors, you can purchase a title insurance policy. This type of insurance covers the cost to investigate and settle many types of losses that could occur if title problems are uncovered in the future. The buyer usually pays for the lender's coverage. Payment for the Basic or Extended Owner's Coverage could be made by the new owner, or it could be split between the buyer and the seller. Title insurance is offered in all states except Iowa, which instead has a Title Guaranty Program. This state-run program costs the consumer about $400 for $500,000 in title coverage versus title insurance in other states that would cost about $2,500 for the same amount of coverage.